Is your fitness tracker lying to you? If you’re relying on a fitness tracker to measure your distance during marathon training, the bad news is that you may not have been hitting the 26.2 mile mark after all. Which? 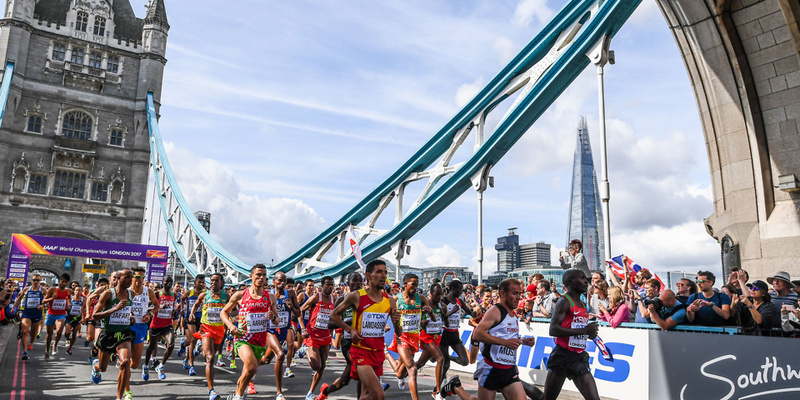 tests have found that some trackers can be wildly inaccurate – over or underestimating distance covered by up to 32%, which on a marathon route could could mean you miss the finish line by eight miles. Even picking a big brand is no guarantee – Samsung models, for example, could miss the finish line by four miles on average . Our tests of over 85 fitness trackers, watches and smartwatches identify which are the most (and least) reliable. Each is challenged to accurately track steps, distance based on steps, heart-rate and calories burned. They are put through their paces both in and out of the lab, during everyday activities such as loading the dishwasher through to indoor and outdoor walking and running. On average, Garmin and Huawei are the wearable brands with the best performance for accurate distance tracking. We’ve found variations within brands though, so picking a model from a well-known or reliable brand doesn’t guarantee accuracy. When it comes to tracking distance based on steps while running, three of our most accurate fitness trackers are safe bets and will leave you within hopping distance of the finish line. Pick one of the worst and you might be in trouble. The Misfit Ray unfortunately lives up to its name, and in fact both this and the Garmin Forerunner 35 underestimate by 32%, which means they’d show just 17.8 miles when you hit the 26.2 mile mark – so you could end up training to run over eight miles more than you need to. But activity trackers aren’t just about distance, and accurate distance tracking doesn’t guarantee a great all rounder. One of the models in the table above overstated calories burned while running by 30%, while another lost marks for comfort as we found it bulky and slightly obtrusive. Browse the Best Buy fitness watches and activity trackers that come out on top in our tough tests. Accurate distance tracking is obviously important for marathon training, so while you’re counting down the miles, how is your fitness watch or activity tracker measuring them, and why are some so inaccurate? There are two main ways that a fitness watch or activity tracker will calculate the distance you’ve travelled. Steps Trackers that don’t have built-in GPS or use the GPS on your smartphone will calculate the distance you’ve travelled by the number of steps you’ve taken. Usually this will be based on an estimated stride length multiplied by the number of footfalls, but some trackers don’t allow you to add your measured stride length, which can affect accuracy. GPS Models that have built-in GPS can track your distance at all times, even without your smartphone by your side. Those with built-in GPS tend to be the most accurate at distance tracking, but we have found one model that reported a 20% overstatement. Some devices that don’t have built-in GPS will use the sensor on your phone to track distance. We’ve picked the top five best fitness watches or activity trackers for step tracking, so you can find the perfect wearable. Or, if you want a GPS model, browse the top five fitness watches and activity trackers with built-in GPS. Which? 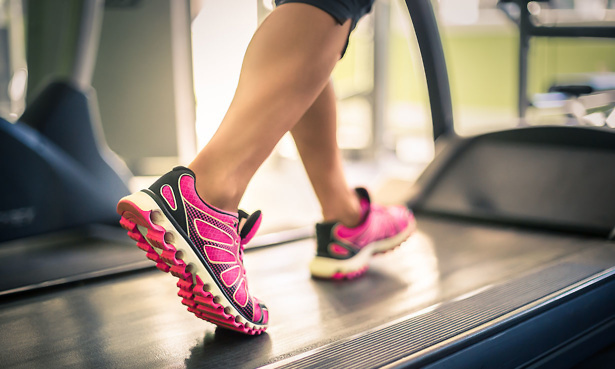 test participants walk on a calibrated treadmill at 4.8km/h for 10 minutes and run at 9.0-10km/h for 10 minutes. This means that trackers’ abilities to log steps taken can be compared, as well as distance travelled. Test participants are also put through a series of daily tasks, such as loading and unloading the dishwasher and carrying shopping. For calories-burned accuracy, testers don a face mask linked to a gas-analysis system. This measures oxygen intake and carbon dioxide production breath-by-breath, so calorie burn is logged as accurately as possible. Tracker results can be compared with gas-analysis data to find the most accurate calorie-counting devices. Consistency is just as important as accuracy. If a tracker is accurate on some days but not on others, you won’t know whether you’re improving. So walking tests are repeated to see if the trackers consistently overstate, understate or hit the accuracy mark. How we test fitness watches and activity trackers explains more about our tough lab testing.